Retailers and marketers should have a very happy holiday season, according to a recent report from eMarketer, which forecast that shoppers will spend $885.70 billion on holiday gifts this year. This is expected to be a 5.7% increase in holiday spending over last year, which will amount to the best year-to-year increase since 2011. In addition to giving retailers a reason to feel festive, this should also make marketers jolly since it should lead to much more advertising as retailers vie for shoppers. 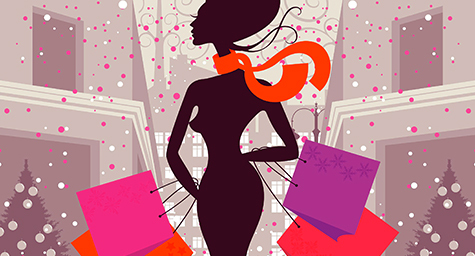 MediaLifeMagazine.com shared the reasons for the busier holiday shopping season. According to eMarketer, this forecast is largely based on the dramatic decline of gas station sales at the end of last year. The holiday season has yet to begin and gas is already below $3 a gallon, with crude oil prices at a six-year low. Lower gas prices contribute to higher holiday spending because when shoppers pay less at the pump, they’re able to visit more stores more often without worrying about gas costs. In addition, they can use the money they’re saving on gas and spend it on it on holiday gifts. In recent years, the recovering economy has made the holiday shopping season quite chilly for retailers. But today, consumers are celebrating a lower unemployment rate, increases in income, and affordable gas prices. This will give them more money to spend this year and make them more willing to spend it in traditional retail categories. The holiday shopping season is when retailers typically increase their ad spending. Knowing that shoppers are willing and wanting to spend, retailers will be advertising much more aggressively to compete for these holiday shoppers. This should mean a major increase in holiday advertising. And a large part of those higher ad budgets will go toward mobile advertising. eMarketer predicts a major increase in mobile buying during the upcoming holiday shopping season, with 25% of online sales made via smartphones and tablets. With the strong shopping spirit in the air, this year’s holiday shopping season should be a welcome gift for shoppers, retailers, and marketers alike. Unwrap the latest in retail marketing. Contact MDG Advertising.